revs its engine and starts rolling for take-off for a routine Air Test. In Robin's beautiful print he captures the mood of the morning - anticipation! 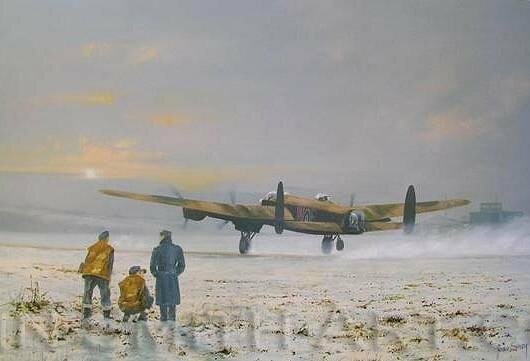 Commissioned by the Lincolnshire Lancaster Association, the image depicts a small group of ‘erks’ as they nervously watch their repaired Lancaster take off.